If there’s one thing that I’ve learned from years of hiking and hunting, it’s that a poor-quality pair of boots can determine whether you have a good event or not. 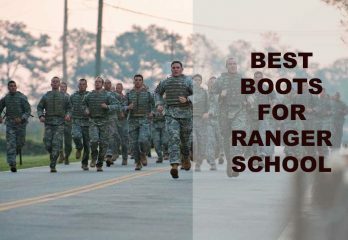 This is true for rucking as well, something I enjoy doing to help maintain strength in the back and shoulders. 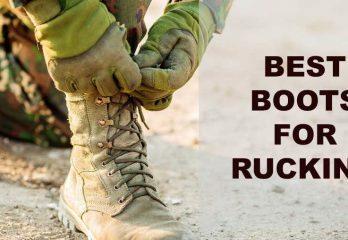 There are many more advantages to rucking as well. It’s an important exercise for military service members at home and in deployments. To define it, rucking is hiking with a filled backpack. 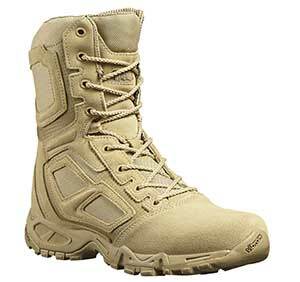 The extra weight that transfers to the feet requires boots that are well made at the soles and tread while avoiding rigidity at the same time. 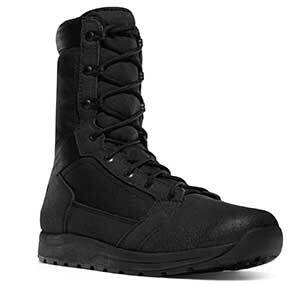 Below are reviews showing ten of the best boots for this practice, along with buying information to help you decide on the foremost choice for your individual needs. 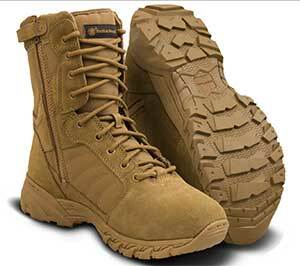 As an avid hiker and hunter, having the perfect boots to take with you for the journey wasn’t always easy for me to find. I’ve worn down countless pairs over the years, and have learned that each pair had something that I liked and sometimes didn’t. 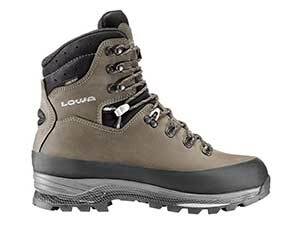 The experience has taught me what to look for and attributes that make a set of boots ideal for certain types of terrain. 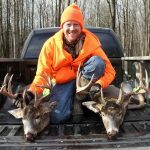 Reviewed below are ten of the pair that I happened to find the most useful and comfortable, so read over their description and see which you think will work great when you’re ready to hunt. The value section that follows consists of lots of time-saving tips and suggestions for you to use during your search. Look over it so you’ll know how to get the perfect pair that will last for more than just a single hunting trip. Hunting is a sport that is enjoyed by people throughout the world. Being an experienced hunter myself, one this is certain: the level of gusto that is had during the occasion is heavily dependent on the type of footwear that is being used during the outing. Several years and many different hunting boots later, I have learned not only learned what boots work best for my legs and feet but the features that others should look for when they’re taking part in similar activities. 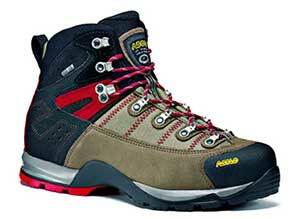 You don’t have to be a hunter to use the footwear; hiking is another pastime for which they could come in handy. 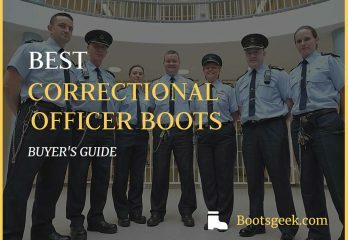 Below are ten of the best boots that you will find anywhere online, chosen by me for their level of protection and comfort given when being worn. The comparison list and Buyer’s Guide will help you shorten your choices down to what you think is better for your next outdoor event, so don’t forget to read those areas before you move on to the top two picks shown at the conclusion. If you’ve even taken part in any event that caused you to spend time out in natural terrain, you know the intense discomfort that ordinary shoes such as sneakers will product around your foot. 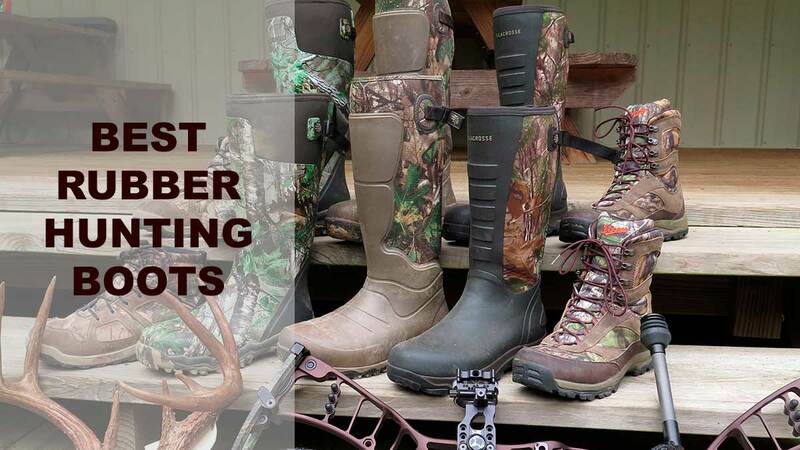 As an avid hunter, having the wrong footwear will wreak havoc on the lower portion of your body. 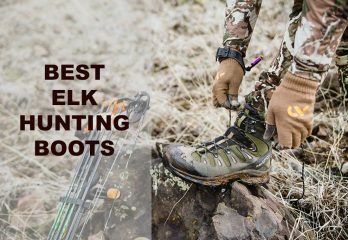 Having gone through lots of different hunting boots of all sorts, I have learned that having the right rubber hunting boots are essential to having a good event in the outdoors or not. Some may look appealing but could be inexpensive rubber works of art. 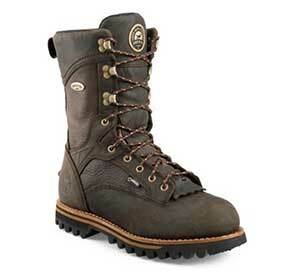 With boots, looks don’t determine what is best for your feet. 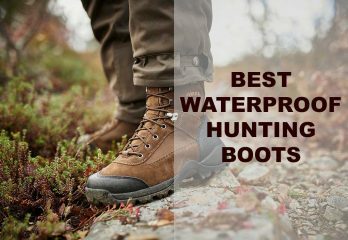 Below are five of the best pairs of footwear for hunting, chosen for temperature regulation, protection from the water, and general level of comfort that is given around the sole’s padding. Afterward, don’t forget to check out the Buyer’s Guide for indicators that will help you find out which brand is best for your individual needs. The top two recommended products will be chosen at the conclusion. Whether hiking is a fun hobby or an inherent lifestyle choice, it goes without saying protecting your feet on (and off) the trail is something everyone should take seriously. Finding the right shoes for your needs will benefit the wearer in the long run, reducing the chances for blisters, strained or pulled muscles, and general discomfort which can quickly turn any hiking trip south. 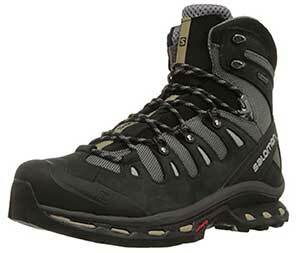 When choosing the best footwear for your hiking needs, you’ll want to consider variables such as the terrain, weather conditions, and the length of your trip, along with the specs and features of any potential boots or shoes. For lasting durability and comfort, there are many options available on the market today. 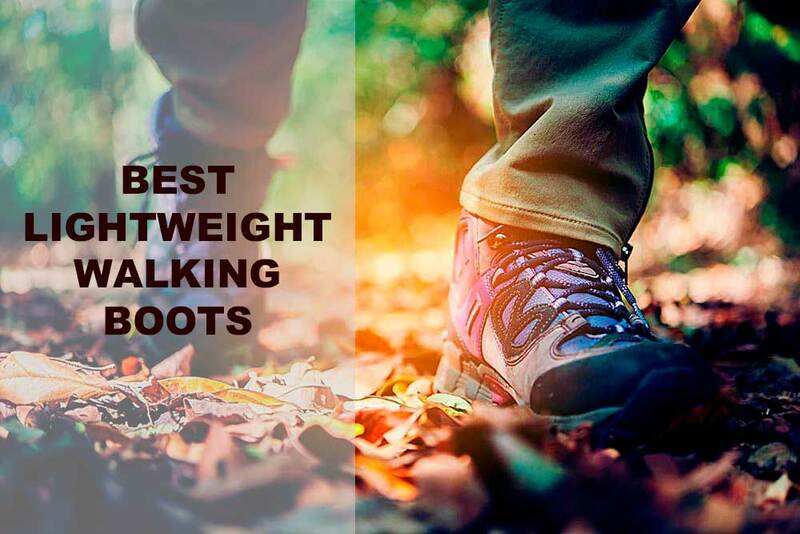 Here is a comprehensive look at some of the best lightweight hiking boots in 2018.